Insert media is a powerful, cost-effective form of direct marketing that delivers your advertising message directly into the hands of potential customers through newspapers or shared mail. 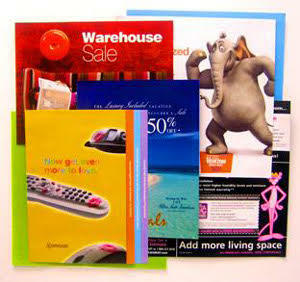 Kirkwood Direct provides companies of any size the ability to print and distribute an effective insert media campaign. By combining our in-house printing capabilities with our expertise in distribution, we can help you reach over 100 million households nationwide through our network of over 400 newspapers and shared mail programs. Cost effective. Not only is the cost to print inserts extremely manageable, but so is the cost to distribute inserts as well. Newspaper inserts are only pennies per piece and postage costs for shared mail programs are a fraction of what you’d pay normally. Targeted. You can reach your audience by zip code, sub-zip code, or carrier route. Creatively flexible. You can distribute almost any size, shape, or type of insert. Welcomed into the home. Newspaper insert programs are delivered to a paid subscriber base, so you know that your insert, like the newspaper, will be delivered and read. Prominent. Your advertisement will stand alone within a newspaper or shared mail package, giving your message more prominence. 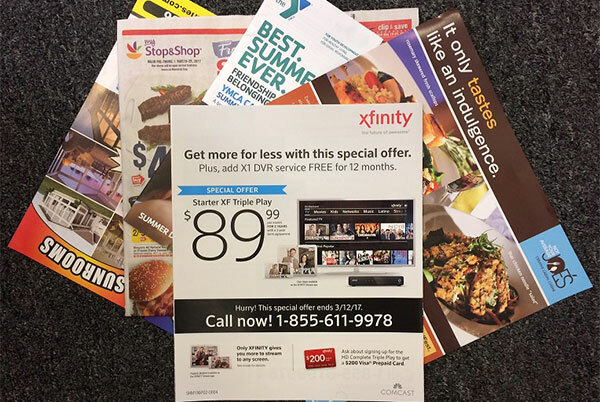 Plus, your insert will benefit from any other inserts, including some of the large consumer brands that your prospects rely upon.